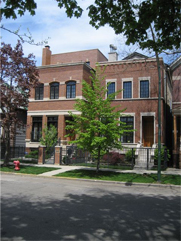 Spartan Development has been building luxury homes in Chicago since 2000. We’ve focused on Lakeview and Lincoln Park and Roscoe Village, three of the many special neighborhoods in our wonderful city. We are only limited by our imaginations. Working with our architect we can create intelligent and flexible floor plans. We work to help you with everything you need to personalize your home and strive for the highest level of quality in every home we build. We have experience, a solid reputation and an unsurpassed level of satisfaction from many happy homeowners. our clients dictate what kind of home they would like to live in and we build it around them. From flow to finishes, your dream guides our plan. We are there to help you every step of the way. From finding the best loans through the close of escrow, we understand it's a big step and we’re there to offer our expertise every step of the way. SPARTAN DEVELOPMENT — Homes with more space, more choices and more value. From a name you can trust, and a home that you’ll love.